Princess Barbie is a big fan of beautiful things. So much tries to make her room beautiful for the arrival of guests to a party in honor of the New year. She decorated the hall and cleaned up the kitchen, but this room was still not cleaned. Things scattered on the floor, the bed, and spilled water on the floor. So here's just a necessary house cleaning Barbie! 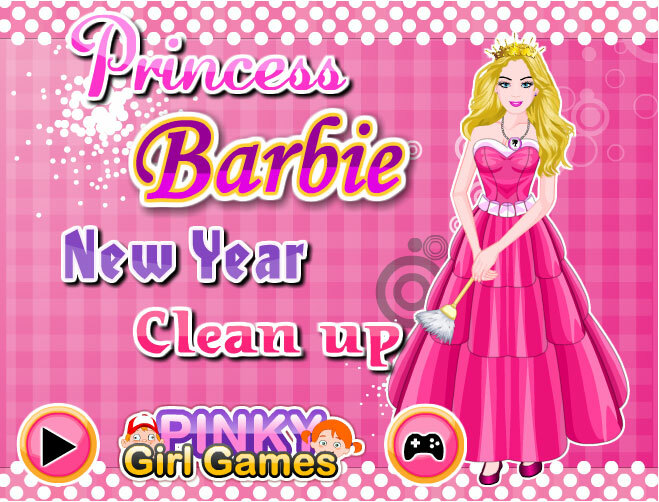 How to play: in this Princess Barbie New Year Clean Up game you will do the cleaning in the Barbie room. She was preparing for the New year, but do not have time to do a clean main bathroom for guests. Help her throw away all the garbage in a special basket, and underwear to put in each basket. In addition, you need to clean the floors, put all the makeup in its place. You can play another cool princess barbie dress up game. Enjoy it! Played: 73026. Added: 11-01-2016, 10:58.